Pregnancy is such a wonder and day after day I am reminded of what a blessing life is. The nine months of pregnancy sure are filled with waves of emotions. I personally experience waves of worry, excitement, joy, and then even more worry throughout pregnancy. 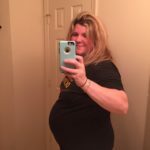 Pregnancy continues to teach me that God is in control, not me! The last few weeks of pregnancy definitely test my trust, faith, and patience. You’re just so ready to meet your baby, to no longer be pregnant, and to enter the unknown life before you. It’s a scary transition and I am just so thankful for my labor and delivery experience, Kinnick’s safe arrival into this world, and our first few days together postpartum. Leading up to labor, there was a lot of uncertainty around how and when Kinnick would be delivered. Throughout almost my entire pregnancy, my blood pressure and various tests were normal. At my 37 week appointment my blood pressure was slightly elevated, so my doctor wanted me to be smart and to really watch my blood pressure and swelling. At my 38 week appointment my blood pressure was perfect, so we weren’t concerned about preeclampsia, but my 38 week ultrasound revealed that Kinnick already weighed roughly 8 pounds 11 ounces. 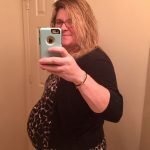 Nothing alarming, but my OBGYN and I talked about his potential weight if I went past 40 weeks (like I did with Magnolia). My doctor decided she wanted to see me at 38 weeks 5 days, just to make sure my blood pressure was still good and that I was feeling good, and that it’d be best to schedule an induction for 7/6. She said it’d be best to have it on the books just in case. 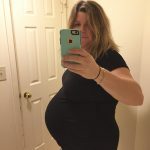 At the 38 weeks 5 days appointment my blood pressure was again perfect, but my doctor quickly realized that Kinnick was no longer head down and was transverse (across my abdomen). We did a quick ultrasound to confirm and then talked about a birth plan. With a transverse baby, my induction for 7/6 was out of the picture. We cancelled that induction and scheduled a c-section for 7/10. I was really surprised by that appointment and definitely left confused. We went ahead and scheduled another ultrasound for 7/6 and an OBGYN appointment for 7/7. At my ultrasound on 7/6, Kinnick was head down again!! That trickster! We didn’t do a full anatomy scan, so we were unsure of Kinnick’s weight at 39 weeks, but the biggest concern was my blood pressure that day. I can confidently say I was nervous and worked up over whether Kinnick would be head down, but after three blood pressure readings, it was clear that my blood pressure was indeed high that day. My OBGYN gave me a call later that afternoon on 7/6, and we decided to come in for my 8AM appointment on 7/7 and to make the call then. She said it was likely she’d send me right over to the hospital to be induced, so she said to make sure our bags were packed. At my appointment on 7/7 my blood pressure was perfect (shocker) and baby was still head down, but the doctor was concerned about the inconsistency. 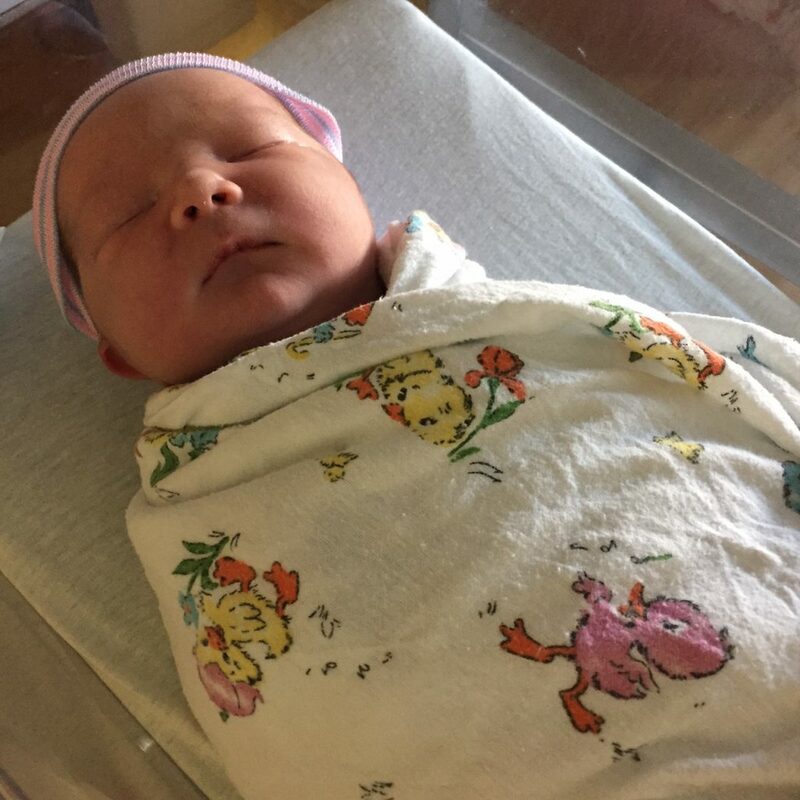 We decided to move forward with the induction, especially given that Kinnick was only going to get bigger in those last few days of pregnancy. Neal and I were honestly thrilled and I was excited to get the induction underway. We arrived at the hospital a little after 9AM, settled into my hospital room around 9:30AM, and started my induction just after 11AM. 8:00AM – Ultrasound at OBGYN office. Kinnick was head down. 8:40AM – Appointment with OBGYN. Blood pressure was normal, I was 2cm dilated, and she went ahead and stripped my membranes to get things moving. 9:10AM – Arrived at hospital. 9:35AM – Taken to hospital room. 9:45AM – Settled into hospital bed. 11:05AM – Started oxytocin and increased every 30 minutes until we hit the max dose. 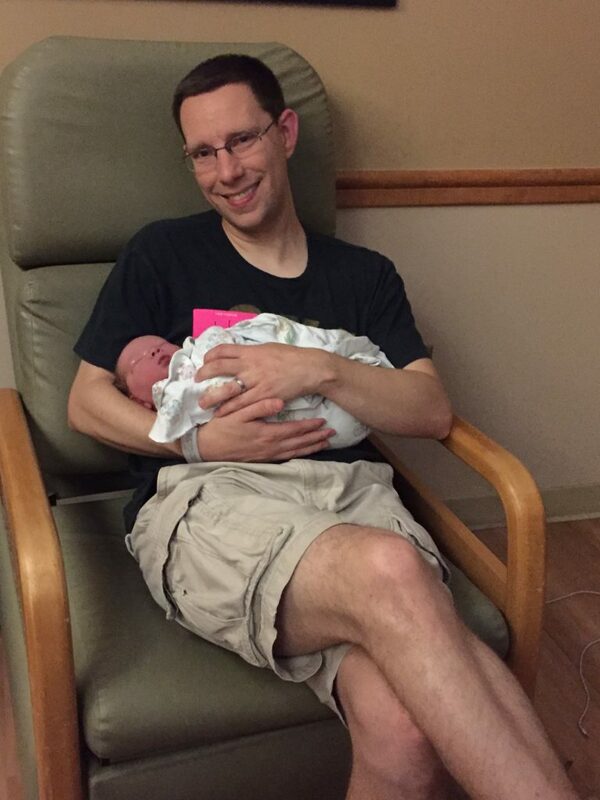 4:05PM – I was still only 2cm dilated, though contractions were now two minutes apart and lasted one minute. My OBGYN decided to break my water to get things moving. 5:30PM – Doctor came back in and I was now 3cm dilated. 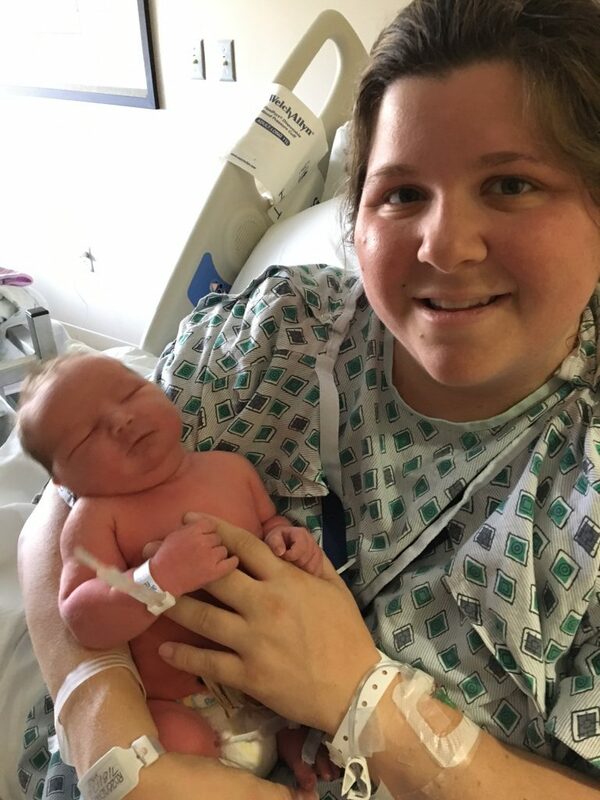 5:45PM – I asked for an epidural and PRAYED it would work this time! Instantly, I knew it was similar to my first epidural with Magnolia. I could still move my legs, I could still feel the pain, but the sharpness of the contractions was gone. I wasn’t happy, but at least I had some relief. 6:40PM – Neal left to grab dinner. 9:15PM – Doctor stopped by to check me and I was only 4cm dilated. We talked about my contractions and decided to have the anesthesiologist stop by to give me a “booster”. The anesthesiologist came by pretty quickly and gave me a different medicine, and I fell asleep pretty quickly after that. 10:45PM – My doctor and nurse stopped by to check on me. I had been asleep and had no idea just how numb I was. I couldn’t move my lower half, which was such a weird sensation. My doctor checked me and I was now 6cm dilated. I was really hopeful I’d move quickly now that I was at 6cm. With Magnolia, I moved from 6-10cm in 20 minutes. 11:35PM – I started feeling the urge to push. I waited 10 minutes and then called my nurse. 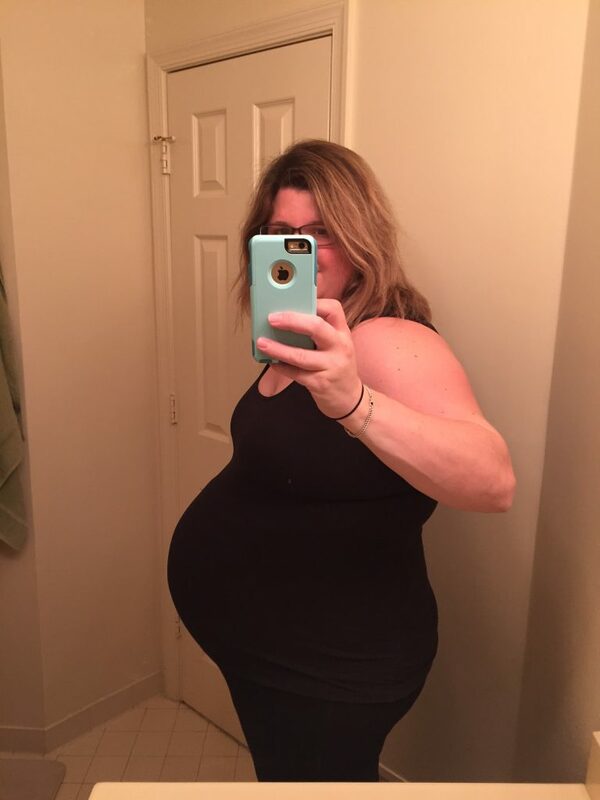 11:50PM – My nurse came in to check me and I was 10cm dilated. She told me to relax and not push. She called my doctor and started setting up the room. 12:05AM – After getting everything set up and calling my doctor, the nurse set me up to do a couple of test pushes. She said I’d push for a couple of contractions, just to “labor down” and to get a feel for pushing. With Magnolia I pushed for 26 minutes before she made her entry into the world, so I didn’t think I’d need much practice, but we gave it a go. Literally a few seconds into my first push my nurse told me to stop! She said, “Well, you’re a good pusher!”, and she told me to relax until the doctor arrived. 12:30AM – My doctor arrived and started to get set up. For any soon-to-be moms, let me tell you, they aren’t in a rush. With both of my kids, from the time I was checked at 10cm to the time I started pushing, it was almost an hour. 12:40AM – I started pushing. I pushed for two full contractions (three ten-count pushes per contraction) and then Kinnick was delivered on my second push of my third contraction. Neal said he was out in six minutes. New record. 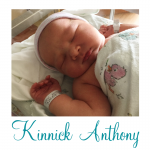 12:48AM – Kinnick made his entrance into the world! Unlike Magnolia, who was born with the cord around her neck, Kinnick was placed right on my chest and was allowed to stay there for almost five minutes. 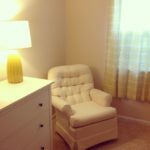 We delayed cord cutting, which was so different than my experience with Magnolia. 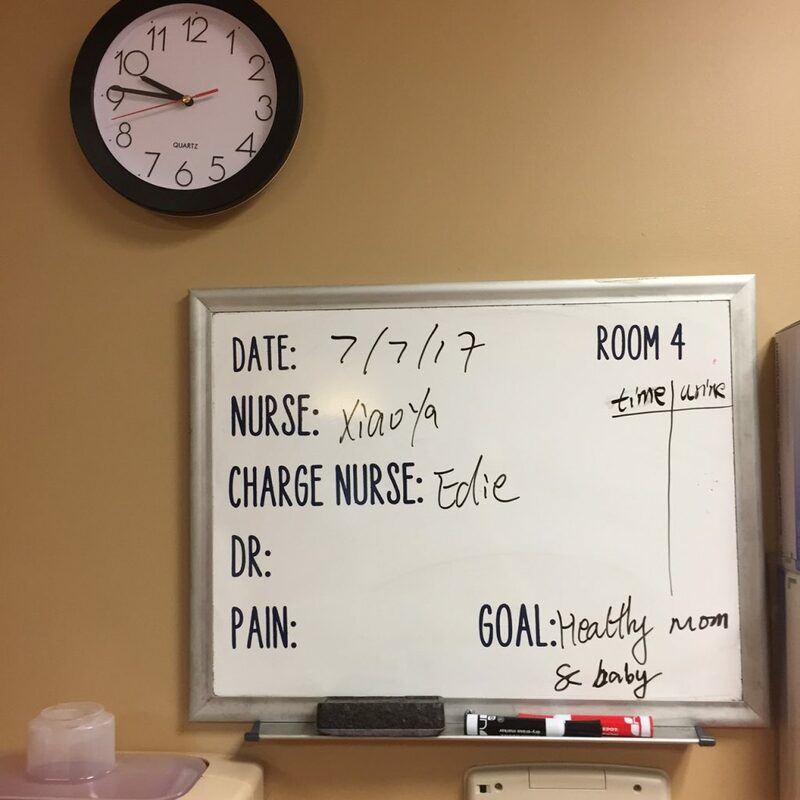 The delivery room was so calm and filled with such excitement, it almost felt like an end of game celebration. I was so incredibly thankful to have been able to deliver Kinnick vaginally after the speed bumps we had faced earlier in the week. On top of that, to deliver a 10 pound 6 ounce baby without any complications or the need for assistance was awesome. I was really grateful for the experience and for Kinnick’s safe arrival. It was such a beautiful experience, and in the end I was excited Kinnick got his own day, instead of sharing his birthday with our anniversary. Neal and I have fond memories from our 5th anniversary and have enjoyed every second with Kinnick and Magnolia ever since!